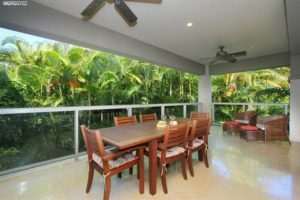 Ho’olei 93-2 was an interesting deal because the villa was never actively for sale on the open market or listed in the MLS for the public to see. Many of our clients are extremely private people and value their privacy; some clients choose to not publicly list their properties for a variety of reasons. The Dano Sayles Team is all about putting our “clients first” in everything we do at RE/MAX Lifestyle. Our mission to create mutually beneficial deals, where our fantastic client service is aimed at exceeding our most discerning clients expectations. The property itself is the 2nd biggest floor plan available at Ho’olei and offers a stunning open concept design. The 2nd floor houses the main living area of the villa with its 298 sqft upper lanai just off of the kitchen and large island in the kitchen for entertaining. Totaling 3 bedrooms and 3 bathrooms, the villa’s 2496 sqft of interior living is perfect for use as a 2nd home or a short term rental. Our presence in the community makes way for the team to develop personal connections with the residents and enables us to work closely with Ho’olei staff responsible for running the short term rental aspects. It is our continued devotion to Ho’olei that makes us the go to experts and gives us a leg up regarding all things Ho’olei. Our Ho’olei Real Estate Information office within the Ho’olei complex allows the team a unique location in which we can take advantage of being on site 7 days a week. We always have representatives standing by to assist any walk ins or scheduled meetings. Part of the reason why we have been so successful in facilitating off market deals is because of our initiative to create and actively manage our Private Collection by the Sayles Team. It has been established for close to 3 years and we have seen very strong results in terms of helping connect sellers and buyers. The whole intent behind the Private Collection it not just to find a purchaser, but rather to create a strategic marketing plan catered to our seller client’s individual needs and specific timeframes. We shoot for quality and well qualified buyers, so our buyer pool a much smaller and a sophisticated audience of potential purchasers. Our implementation of the Private Collection by the Sayles Team has helped facilitate a few deals that otherwise would may have never been put together. The Ho’olei market has been experiencing a decent year in 2018 with 6 villas sold for $16.5 million in running sales volume. Compared to 2017, 2018 has been on a similar trajectory through the same time frame. 2018 got off to a slow start with no units sold through the 1st quarter of the year, then saw 3 quick closings in the month of April. Only 1 unit was sold in the summer, however, sales have picked up again in September with 2 closings. 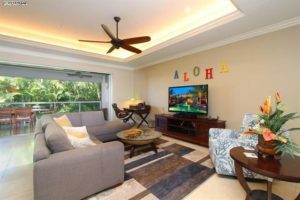 Part of the slower turnover can be attributed to the low inventory, but Ho’olei owners are also reluctant to sell their unit for a variety of reasons and most likely be linked to the strong earning potential and the quality of lifestyle at Ho’olei. So far, it has been the upper part of the market that has been most dominate, making up 66% of all transactions YTD. One unit was sold in the $1 million price point which was an absolute steal for the buyers and another unit was sold in the $2 million price range; we were happy to represent both sellers. For a complete rundown of the market, check out our set of Ho’olei sales date since 2008. With only 2 units for sale, buyers do not have any options other than a premium priced unit and one that sits in the middle of the road. 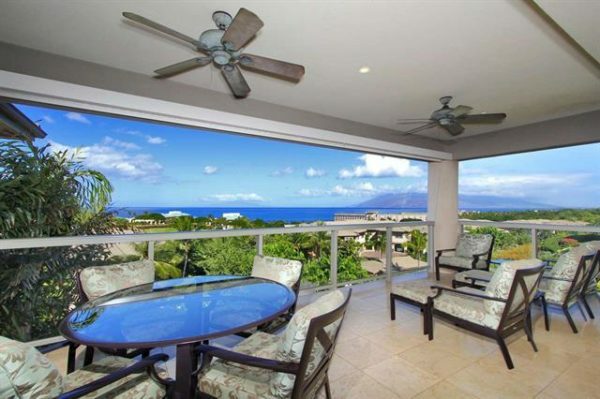 Prices at Ho’olei can vary dramatically based on location, view, level of finishes, and rental history. Ho’olei are popular for investors because of their ability to generate cashflow. Buyers should expect to pay anywhere between $800-$1450/sqft.